The civil society platform in Austria which supports the implementation of the 2030 Agenda and the UN goals for sustainable development. SDG Watch Austria is a broad, cross-sectorial network of more than 140 civil society and non-profit organisations working in alliance with the private and academic sector. Together, we work for an ambitious implementation of the Agenda 2030 and its 17 Sustainable Development Goals (SDGs) in Austria. In January 2017, 144 organisations addressed the government in an open letter calling for the implementation of the Agenda 2030 and its SDGs. In the letter, the organisations demanded a transparent and inclusive participation process, a gap analysis and the development of an overarching sustainability strategy based on the SDGs. On 27 September 2017, more than 80 civil society organisations from various sectors came together to support the implementation of the Agenda 2030 and the SDGs and, thus, founded SDG Watch Austria. Just one month afterwards, more than 100 organisations from all over Austria became members of the network and at the first general assembly of SDG Watch Austria in May 2017 more than 130 organisations were part of SDG Watch Austria. 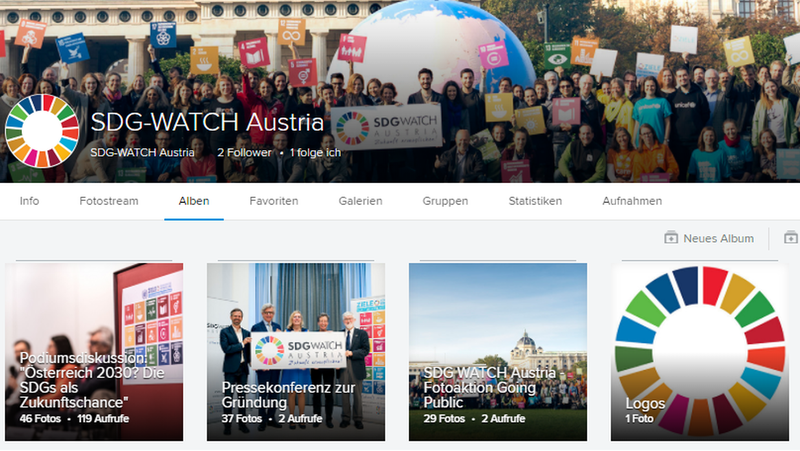 Civil society and non-profit organisations working towards the implementation of the Agenda 2030 and the Sustainable Development Goals (SDGs) are invited to join SDG Watch Austria and become part of our network. Read the Terms of References (in German) of SDG Watch Austria for more information regarding membership. If you are interested in joining SDG Watch Austria - contact us! Selected pictures from SDG Watch Austria activities are available in our online gallery. They can be downloaded, used and distributed for free for non-commercial purposes. The source of the images (always listed in the album) must be indicated. The adaption of pictures is forbidden. Click here to access the gallery! This website was funded by the European Union as part of the project "Make Europe Sustainable for all". The views expressed on this website do not necessarily coincide with the sponsor's view.